2017 will be the year that brands and companies begin to seriously invest in their content creation efforts. We are already seeing major brands such as Cisco investing heavily in the hiring of content specialists and this will continue over the coming years. So now is a good time to start focusing on your existing content strategy and how to improve it moving forward. A great way to get started is to audit your current content strategy. A content strategy audit is different from a simple content audit. A content audit typically focuses on engagement parameters only, whereas a content strategy audit analyzes your current strategy and measures actual results from your content strategy versus desired business outcomes. Think of it this way: Your content is the stuff you create, your content strategy is what you hope will happen as a result of the stuff you create. For example, if you write 1 post a week for your blog, you can audit the engagement metrics associated with those blog posts, such as numbers of visitors, time spent on each post, social shares, etc. But if you audit that content in the context of a content strategy audit, you would analyze how that content led to other actions, such as number of white paper downloads, or times a lead-gen form was accessed, or number of email newsletter subscribers converted from that post. For example, let’s look at the last post I wrote on this blog. If you just examine engagement around the post, you can see it did pretty well. It got over 200 social shares, and that’s not including shares on Twitter, which were probably another 200-300. So about 500 or so shares on social sites. If my goal for this post was to simply generate engagement, then this post was a winner. It generated a lot of shares, a lot of chatter online, and gave my blog a 10-15% bump in traffic for a few days. But if I want to look at this post from the context of how it impacts my overall content strategy, I have to dig a bit deeper. The end goal for my content isn’t simply to create engagement, I want to ultimately get business from the content I create. So engagement isn’t the end point, it’s closer to the beginning. Think of how you would approach this if you owned a retail store in the mall. You send out a circular that announces the sales you’ll be running this weekend. That’s your ‘content’. You hope that ‘content’ will drive ‘engagement’, or in this case, people to your store. But the end goal isn’t simply to get people in the store, you want to sell them something. So if you approach your content in the same way, you need to first create content that drives engagement, but then that engagement needs to convert into a desired action. Let’s go back to the last post I wrote here. We’ve already established that the post drove engagement, but we’ve also established that driving engagement wasn’t the ultimate goal of that post as part of my larger content strategy. I wanted that post to drive business for me. If you click on that banner, you are taken to the page that promotes my Content Strategy Audit service. So I want the content (post) to be engaging so that people read it, but once they arrive here, I want them to then click the Content Strategy Audit banner to go to that page. Then finally, I want them to contact me about purchasing a Content Strategy Audit. 1 – How many people viewed the content? 2 – After viewing the content, how many people then clicked on the banner and visited the Content Strategy Audit page? 3 – How many people after visiting the Content Strategy Audit page then inquired about purchasing the audit? 1 – How many people viewed the content? I’ve already stated that this particular post had higher than average social sharing, as well as traffic. So simply from an engagement standpoint, this post did its job. 2 – After viewing the content, how many people then clicked on the banner and visited the Content Strategy Audit page? I can check Google Analytics and find this information. But it’s worth noting that there are a lot of variables that can impact this on-site conversion. Maybe the banner would have converted better in a different location like at the end of the post. Maybe a different graphic would work better or maybe different wording. All of these variables must be considered and it pays to tweak things and see how conversion rates can be affected. I already have some ideas in mind for how I want to make some changes. 3 – How many people after visiting the Content Strategy Audit page then inquired about purchasing the audit? This is another conversion point. By clicking on the banner to come to the Content Strategy Audit page, you are assuming they are interested in learning more about the audit. How well this page converted into purchases of the audit gives me insights into whether or not the content of the Content Strategy Audit helped convert those visitors. So there are more variables that can be played with, such as giving more of an explanation of what’s included in the audit, or maybe less. Or maybe I could increase conversions by simply removing the price. Now if all this seems like it’s getting a bit ‘in the weeds’, you’re exactly right. But, the bottom line is that if you truly want your content to be effective for your business, you need to invest the time to critically examining whether or not it is truly effective in helping you achieve desired outcomes for your business. As I’ve said before, engagement without desired business outcomes is just noise. Noise is easy to create and measure. Meaningful outcomes are far harder to create, but create more impact for your business. 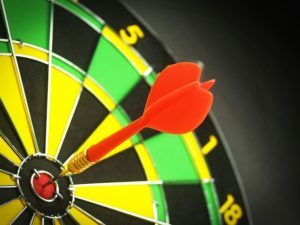 So when you audit your content strategy, you want to first decide What Is The Goal? Why are you making the time commitment to creating content in the first place? What are you hoping will happen? Create the goal first, then work backwards from the goal, creating content that will help you reach that goal. For example, if the goal is to generate more product signups, then you need to create your content with that end goal in mind. You need to think about how your content will help move a visitor closer to wanting to singup for your product. You probably want to think about including relevant Calls to Action in your content that encourage the reader to signup for your product. I did this in the previous post by including both links and a banner ad that pointed to the page for my Content Strategy Audit. Because I wanted visitors to go to that page. As you can see, most companies are expecting more than simple engagement from their content. They want that content to move people to perform specific actions. Think of it this way, let’s say you are a marketing agency, and you have a competitor that is also crafting a content strategy for 2017. If your content goals for 2017 are a 15% increase in ‘engagement’ and their content goals for 2017 are a 15% increase in leads generated, who do you think will have the better year? Probably your competitor, because their efforts are focused on creating content that comes closer to impacting that agency’s bottom line. Now at this point you may be thinking “But Mack in your previous point you said that you can’t create content that ‘sells’ if the customer isn’t ready to buy, and now you’re saying that good content should do more than just create engagement. Which is it?” My point is that your content should aspire to a higher purpose than simply creating engagement. Remember the AIDA model from your college marketing classes? AIDA stands for Awareness, Interest, Desire and Action. You make the customer aware of your business, you get them interested in learning more about who you are and your products, which creates a desire to own those products, and that leads to a purchase (action). Your content needs to be positioned so it can move the potential customer through the buying process. Many businesses focus on creating content that builds awareness, that establishes thought leadership and that helps get the ‘name’ of the business out there. But then what? Creating content that builds awareness is fine, but what about the next step? What about creating content that builds interest? And if you can get me interested in your products and services, I might become interested in actually buying those products and services. Your content needs to be there to hold my hand and move me closer to a purchase. Now as part of your content strategy, you may find that certain tools or platforms are best suited for creating and housing different types of content. For example, you might use the content on your blog primarily as a way to build awareness for your business. Then maybe you then move those customers to another tool or channel to build their interest and to ‘close the deal’. However, none of this will happen until you make a commitment to get serious about your content strategy in 2017. That means taking the time to put together a strategy, to decide what it is you want to accomplish, then executing that strategy. Then along the way you can continually audit your efforts so you know if you are making progress or not, and adjust as needed. I’ve written here before about Topic Buckets and why they are so important. Topic Buckets are the 2-3 areas that your content will focus on that are associated with your business. Think of Topic Buckets as your business’ elevator speech. If you meet someone in the elevator and they ask you what your business does, what would say? Think about the 2-3 areas that you would want your business to be known for. Those are your Topic Buckets. You should try to fit every piece of content you create into one of your Topic Buckets. This brings clarity and focus to your content creation, but it also helps to establish your business’ association with these 2-3 areas. By constantly creating content that’s focused on your 2-3 Topic Buckets, you are helping others to understand what your business is about and what it does. Additionally, you are helping to establish your expertise around these areas. For example, this post is focused on Content Strategy, which is one of my Topic Buckets. This is a very long and in-depth post that is written to help companies create better content strategies in 2017. I want to be known as someone that can help companies create better content strategies, so I wrote a very detailed and instructional post that will teach companies how to do exactly that. Ideally, this post will help establish my expertise in helping companies create amazing content strategies. The added bonus for me is that it will help others understand what type of work I do, which can lead to more referrals. But honestly, at the end of the day this post is nothing more than a commercial for my consulting services. However, I purposely did not write this post to be an advertisement, because very few people want an advertisement. They want content that creates value for them. 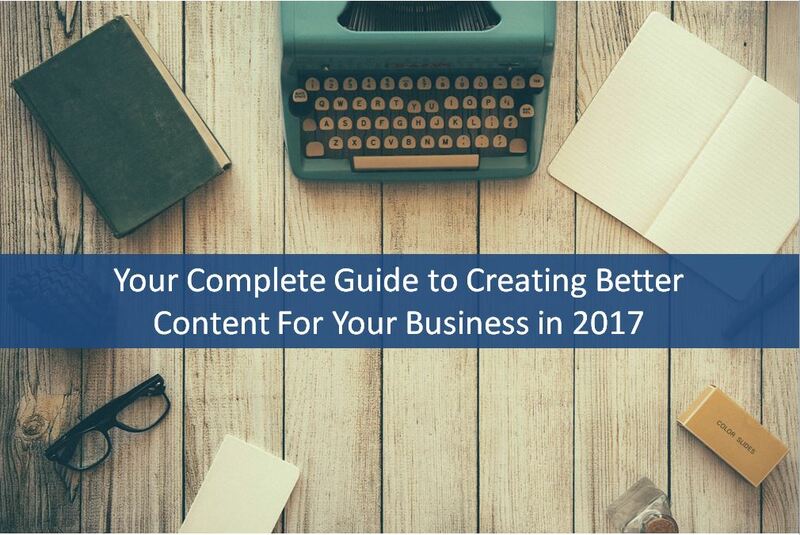 So if I can write a 3,000 word post on how to create better content in 2017, that creates value for the reader. Which means I can gain the reader’s attention, and once I have their attention, I have a chance to convert them in some way that I’ve determined has value for me. Notice there are multiple links back to my Content Strategy Audit page. Those are there as a reference point within the post, but are also included because I hope people will click the link and check out that service. This is because I am always viewing my content as being promotional and thinking about how I can add relevant Calls to Action within each post. You should approach your content in the same way. You should understand that your content is there to promote your business, but you should at the same time understand how to promote your business in a way that also creates value for your audience. This is why the concept of Topic Buckets are so important, because it allows you to focus your content creation efforts on 2-3 areas that relate to your business. And if you approach your content as being promotional while also creating value for the reader, you will create content that promotes the topic areas that are relevant to your business. Or if this whole idea of creating content that promotes your business makes you feel icky, think of it this way: If you have created great content, you have earned the right to ask for something from your reader. Remember the PBS pledge drive example in my previous post. PBS aired a wonderful live concert of The Highwaymen, it was great content that I loved, so I didn’t mind a few short breaks within that 90-minute performance from PBS asking for donations. PBS earned the right to ask for donations by providing amazing content. 1 – My bio. People that have never read my content before want to know who I am. 2 – My Buy Think Like a Rock Star page. People that find value in my post become interested in buying my book. 3 – My Speaking and consulting services pages. People that find value in my post become interested in hiring me as a speaker or consultant. No doubt, you have seen the same thing whenever you create content that is popular with your readers. This indicates that IF you have created content that’s valuable to your readers, then those readers are more OPEN to promotion from you. In fact, if you have positioned your content correctly, a relevant Call to Action (such as asking for a download of a white paper, subscribing to a newsletter or buying a product), should be expected and WELCOMED by your readers. So just think about that as you are creating content, you want your content to promote your business, but you also want that content to be so insanely valuable for your readers that they don’t mind the the promotion, they even welcome it. Before I wrap up this post, a final word on why Topic Buckets can be so helpful to your content strategy. Remember that Topic Buckets are really the 2-3 things that you want to be known for. Once you have decided what the Topic Buckets are for your business, ideally you should then prioritize these Topic Buckets. So you know what Topic Bucket is most important to your business, then you can rank the others after that. Additionally, having Topic Buckets helps you better organize your content calendar. For example, let’s say you have 3 Topic Buckets. If you have an editorial calendar that requires one new blog post per week, then you could write a new post on each of the 3 Topic Buckets, and the 4th post could be on the Topic Bucket that you prioritize as being the most important to your business. This instantly solves the ‘what will I write about?’ problem because you know to write about your Topic Buckets. You just pick which Topic Bucket each post is about, and go from there. So it greatly simplifies the writing process from the standpoint of picking your topic. Which, if you’re like me, if often the biggest issue you face when writing a new post. Using Topic Buckets has greatly helped me with this, and I believe it help you as well. 1 – Remember the goal for your content strategy. Every piece of content you create should be associated with that goal. If your goal is to generate sales, then your content needs to be created in that context. If your goal is to build brand awareness or to establish thought leadership, create your content with that focus. Remember the saying ‘Begin with the end in mind’ because it applies here. 2 – What Topic Bucket does this piece of content fit in? Figure out the 2-3 things that you want to be known for, and try your best to make sure that every piece of content you create fits into one of these Topic Buckets. Also, prioritize your Topic Buckets so that you cover each and also focus more on the ones that are most important to your business. 3 – Create content worthy of the ask. Get in the habit of viewing the content you create for your business as being promotional, but do so with the understanding that it must also create value for the reader, or else you’ve wasted both your time and the readers’. Remember the PBS pledge drive example; Strive to create content that’s earned the right to ask for a donation. If you truly create great content that’s valuable to your readers, they will WANT to get more information about that topic, or they will want to sign up for your newsletter or subscribe to your content, or buy your product. Remember, the value you create IS the promotion. Think about what value each piece of content creates for the reader, and how that will ultimately create value for your business as well. 4 – Carefully consider your Calls to Action. This ties in with the above point especially. Create content that’s worthy of the ask, then carefully ask for the exact thing you want, that’s also relevant to the content you have created. Should every piece of content you create include a Call to Action? Not necessarily, but every piece of content you create should be worthy of you asking for something in return from the reader. Maybe it’s something as simple as asking them to visit a page, or leaving a comment. Maybe it’s directly promoting a product or service you provide. But the idea is to think more carefully and deliberately about not only the content you create but the time you are asking your readers to invest in consuming that content. If you have created value then you have earned the right to ask for something. 5 – Understand how you will measure the success of each piece of content you create. If you are writing a blog post, think about what needs to happen in order for you to realize that the time you spent on that post was worth the effort. Know what KPIs (Key Performance Indicators) you and your boss will use to judge the effectiveness of each piece of content. This is also useful to keep in mind as you create the content because it will help you create the content in such a way that relevant KPIs are impacted by the content. Finally, I wanted to close this post by letting you know about a very cool writing tool I just discovered from Peter Shankman’s blog. This tool is OmmWriter. It is designed to minimize distractions when you write so you can better focus. When you run OmmWriter, it takes over your screen so all you are left with is a blank screen with a background that you set (I prefer the snow scene). All system notifications are turned off so there’s no distractions. Additionally, several musical tones are provided (I prefer #5) that really help me get sucked into the writing and it also helps with focus. Case in point, this is the first post I’ve written while using OmmWriter, and it is going to end up being around 4,000 words. Prior to this, the longest post I had ever written in 11 years of blogging was right at 2,000 words. 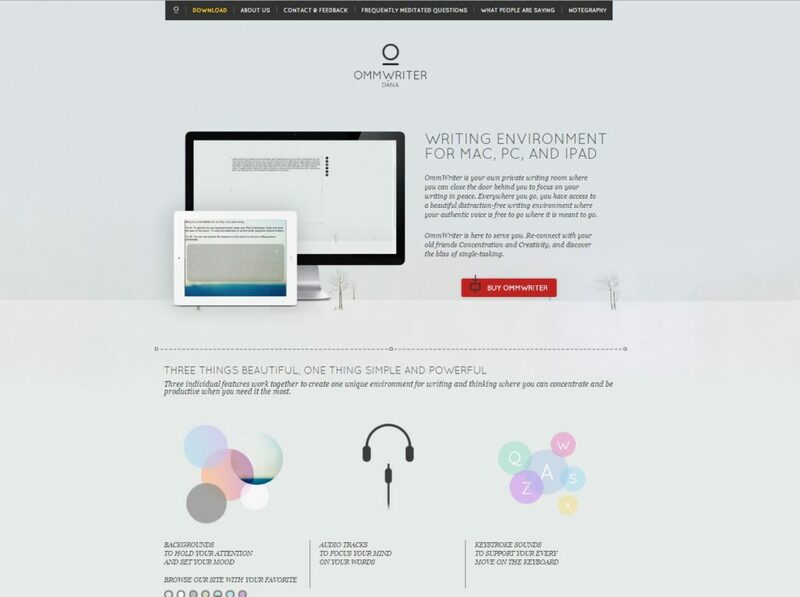 I found it much easier to focus and just ‘get in the flow’ and write more in less time with OmmWriter. Now it does have a few obvious limitations to discuss. First, you can’t insert images or a lot of special formatting so you can’t just write a finished post with OmmWriter. You’ll still have to do some editing and formatting before it’s ready to publish. And it’s not free, although you can buy it for as low as $5.11, that’s the minimum price you can pay and the creators of OmmWriter let you decide what you will pay. So definitely try out OmmWriter and I hope you love it as much as I do. My problem has always been that it takes me way too long to write a really good blog post. My ideas seem to come in spurts, and it often takes me 5-6 hours to write a substantial 1,000 word post. I wrote this post in about 4 hours, and it’s right at 4,000 words. OmmWriter really helped me focus and write more in less time. Here’s the link to check it out, and I’m not getting a penny from them, just wanted to share a really cool writing tool that I think you’ll love.